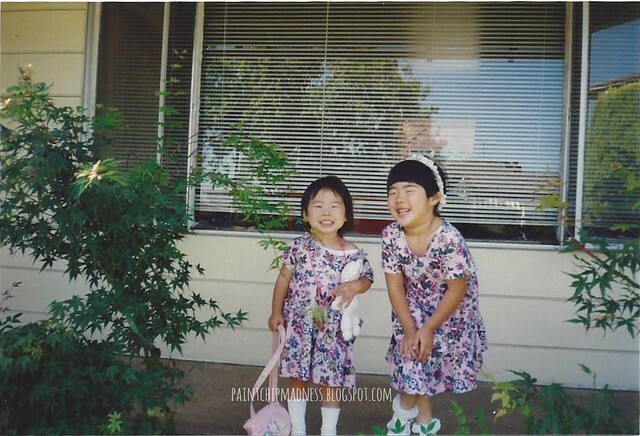 my sister and i. matching outfits and all. Day 31/31: A vivid memory. 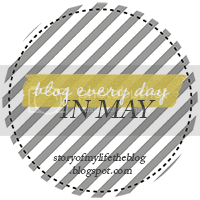 First of all, it's so hard to believe that it's the last day of May and the last day of the Blog Every Day in May challenge. If there's one thing I learned from this challenge, it's that blogging isn't just a place to write about what's currently going on in your mind; it's also a place to share memories, too. So here's a memory for you. More specifically, a memory that feels like it happened just yesterday. Although, I'm kind of glad it didn't actually happen yesterday. I remember my first real job. Granted, this was a babysitting job, but it was still a job in the eyes of a thirteen year old. I was no longer the girl who solely earned money from doing chores at home. Nope, I was going to be grown-up and employed. Full of nerves and excitement, I entered the family's home and was immediately greeted by Ella, who eagerly showed me around the house as her parents slipped out the door. It was quite the grand tour, really. She showed me her bunk bed, the bathrooms, and the kitchen. All the important stuff, right? 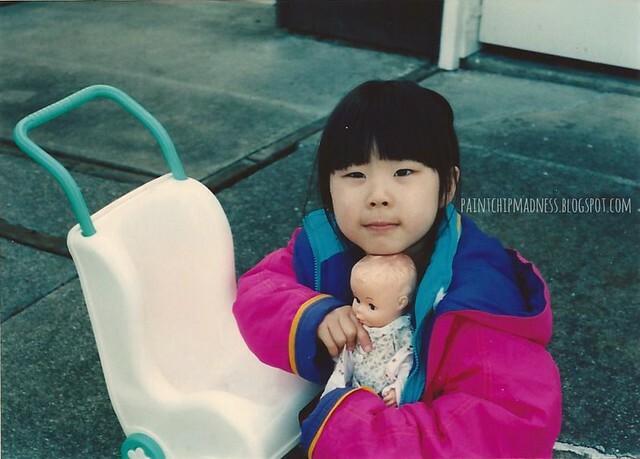 my favorite childhood doll, katie. As soon as we made our way back downstairs, I also met Jared. At only three years old, he was 100% cuteness. Did I mention he was also on top of the kitchen counter eating leftover Halloween candy? Well, he was. After climbing off the counter and having Ella reassure me that "Mom always lets us do that," Ella's friend stopped by to ask if she wanted to play outside. While they ran off to invite other neighbors, Jared and I got our shoes and jackets on to join them. It would be easy, right? A few kids, one teenager, and a quiet and cozy neighborhood. A walk in the park, really. Let's just say that that walk in the park was really a run in the park. Once outside, Jared wanted nothing to do with me and everything to do with Ella and her friends. So he started running. Not in the street--thank goodness!--but straight through a neighbor's open gate. I called after him and told him to wait up, but he was off. And this, my friends is where the vivid memory kicks in. 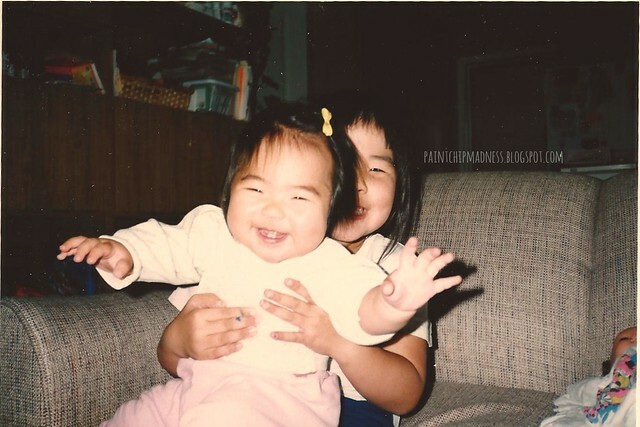 baby sister and me. and yes, i do know how to make kids smile. Flustered and full of adrenaline, I figured it would be easier (and would somehow save face) to simply run in, scoop up the kiddo, and bring him back to the house. Well, that was wishful thinking. Unfortunately, Jared wanted a full-on chase. No longer was this easy. Nope, this was just humiliating. As Jared ran, I profusely apologized to neighbors whose yards we were running through. Fortunately, they were all incredibly friendly and understanding. One man looked at me, smiled--thank goodness it was a smile and not a scowl--and kept mowing his lawn as we ran through it. Fortunately, Jared tired out, I scooped him up, and called Ella and her friends back home. How we all made it back is a miracle and part of this vivid memory that I can't quite recall. Once back home, I decided that was the end of outside time. It was now inside time. I never did tell the parents what happened. Nope, never did and never will. I'll let that be my personal memory. Well, not so personal anymore. And oddly enough, that one experience didn't stop me as a babysitter. In fact, that one experience led me to a million other babysitting, teaching, and volunteering experiences with kids. And it also led me to pursue a career out of working with kids (and a college degree which provided me with tricks of the trade for getting kids on your good side). Funny how this things turn out, right? Let's just say, I'm laughing now. I wasn't laughing then, but I'm laughs now. I mean, what a sight that would have been to see a crazy teenager chasing after an adorable freckle-faced little boy? So cute and too funny! !